Represented a City in Mississippi in the successful sale of its hospital to a non-profit health system. Represented an OB/GYN physician group in the sale of its medical practice to a hospital. Successfully defended a hospice company in a $250,000 Medicare recoupment effort. Represented a physician practice on a $4M Medicare recoupment audit and reduced the repayment to $3,000. Represented a medical practice with an investigation of a multi-million dollar theft of pharmaceuticals by a shareholder physician. Represented a hospital in a national kyphoplasty false claims investigation and qui tam lawsuit. Represented an Alabama non-profit hospital in a long-term lease to a hospital system. Represented a large home health agency in its acquisition of a competitor out of bankruptcy. Represented a national, professional society in a million dollar breach of contract lawsuit. 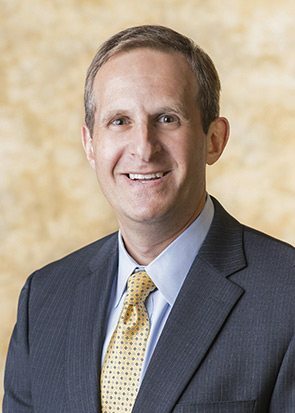 Howard serves as Chair of the firm's Health Care section, which contains over 25 attorneys practicing throughout five states successfully representing clients on all matters of health care related law, including corporate, litigation, and regulatory matters. His area of focus involves corporate and regulatory health care matters, including Stark and Anti-kickback and False Claims Act compliance, facility and professional licensure matters, HIPAA, physician practice formation, joint venture arrangements, mergers and acquisitions, certificate of need issues, Medicare and third-party audits and investigations, corporate compliance, and contract negotiations. Howard represents a variety of health care clients including: hospitals, surgery centers, clinical labs, physician practices, nursing homes, large academic medical centers, imaging centers, and other health care providers. Howard serves as the firm’s Chief HIPAA Compliance Officer to oversee the development, implementation, maintenance of, and adherence to privacy policies and procedures regarding the safe use and handling of protected health information (PHI) in compliance with federal and state regulations. He is the current President of the Alabama Bar Health Law section serving a 3 year term. The Health Law section focuses on the interface between law and health care, including various state and federal issues such as Medicare fraud and abuse, payment problems, merger and acquisition of health care entities, antitrust, fiscal management, peer review, provider malpractice, individual rights and Supreme Court actions. Howard is the author of Legal Strategies for Health Care Providers, published by Aspatore Books in 2005, co-author of Legal Guide for Physicians in Alabama, published by the Medical Association of the State of Alabama in 2000, revised in 2002, and is a regular writer for the Birmingham Medical News. Howard is also a frequent speaker on various health care topics both locally and nationally.